Soul of Sydney featured on TIME OUT Sydney’s ‘Critics Choice’ + ‘Most Viewed Events’ | SOUL OF SYDNEY FEEL-GOOD FUNK SOUL DISCO vibes & beyond. 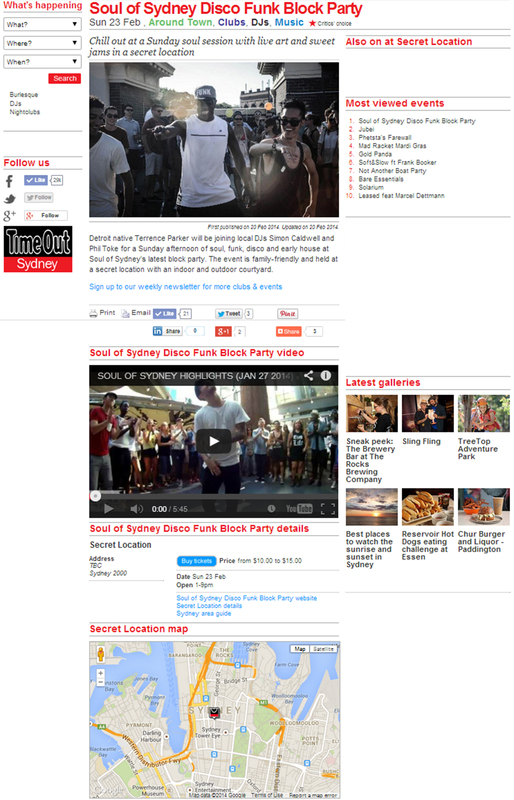 Soul of Sydney’s Block Party featuring Terence Parker just got listed on Time Out Sydney’s ‘Critics Choice’ for things to do in Sydney this weekend, and its the most viewed events. That feel-good funk vibe seems to be infectious.